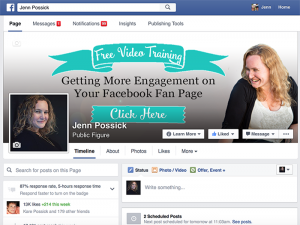 Post to your Fan page and share to your personal page? And how do you share in the first place? 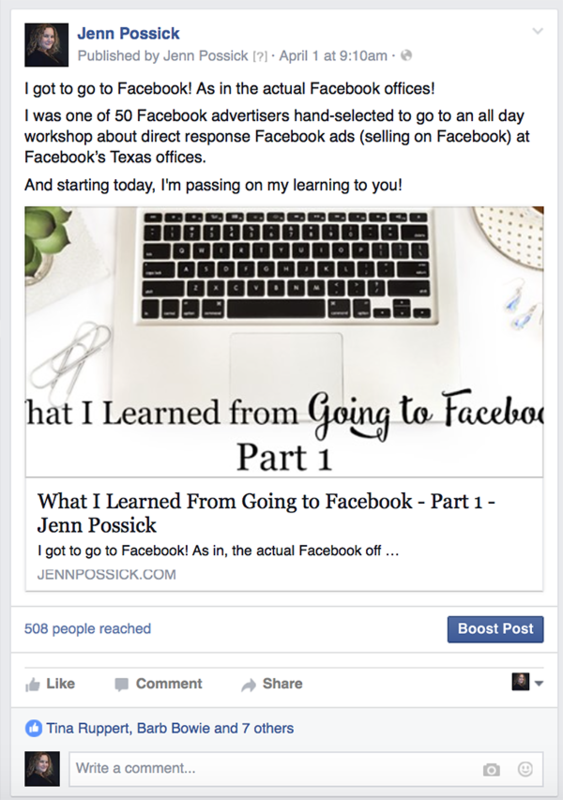 I’ve been getting these questions A LOT recently, so I decided to take a break from my ‘What I Learned From Going to Facebook Series’ to address this. The way I see it…your Fan Page (also known as a Business Page) is there to share business related stories, which also include inspiration, education, and behind-the scenes content. With all that in mind, I believe it is best to first post to your Fan Page and then share to other places, such as your personal page, a Facebook Group, or another Fan Page you manage. So with that, here’s how to share it. 1. 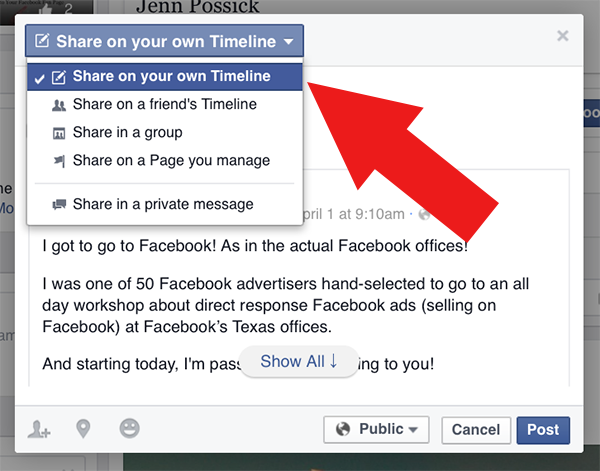 Make sure you are interacting on Facebook as your Personal Page. Sometimes we end up interacting as our business page, which can make things trickier. To check this, select the downward arrow in the top right corner. 2. 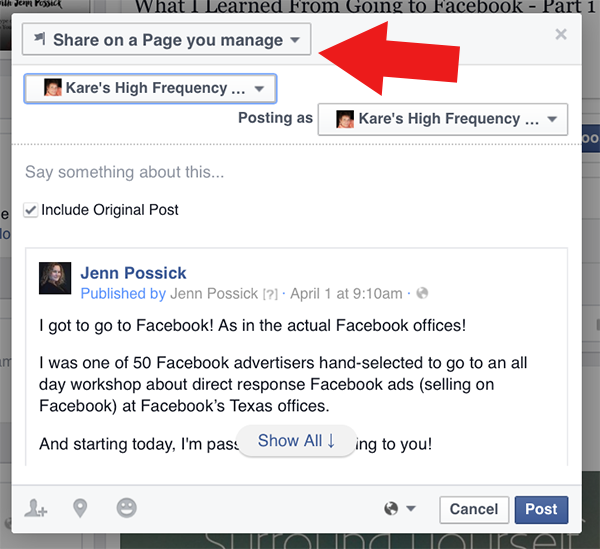 When you select the downward arrow, if you are interacting as your page, it will show you here. 3. 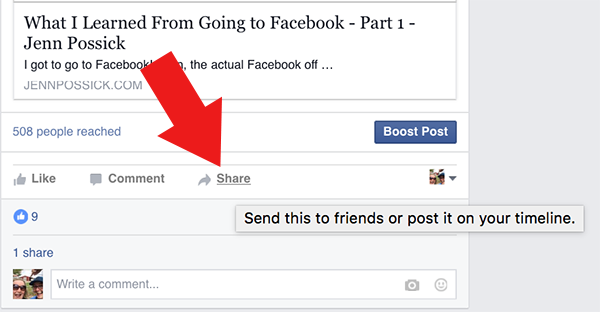 Go to you Fan Page and either write the post you plan to share or scroll through to find the post you’d like to share. 4. Find the post you want to share. 5. 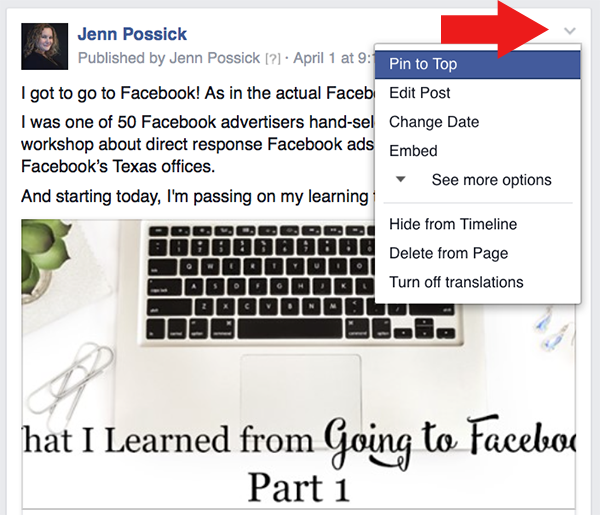 On an unrelated note: If you select the downward arrow at the top of the post, you can pin this post to the top of your page, edit, or delete the post. 6. Next to the ‘like,’ ‘comment,’ and ‘share’ tabs, look at the icon on the right. 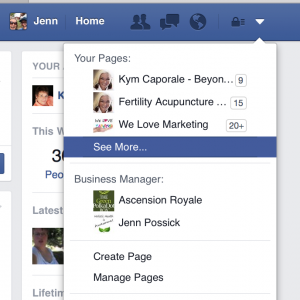 This shows if you are interacting as your Business Page or your Personal Page. 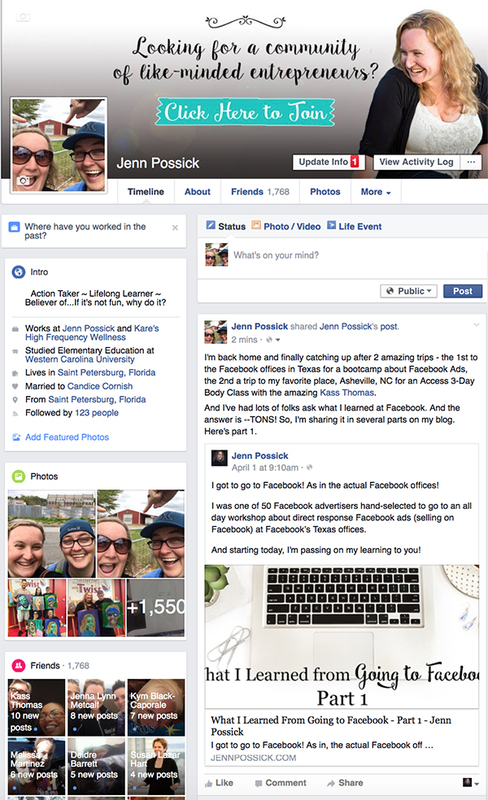 In this case, I’m interacting as my Business Page. 7. 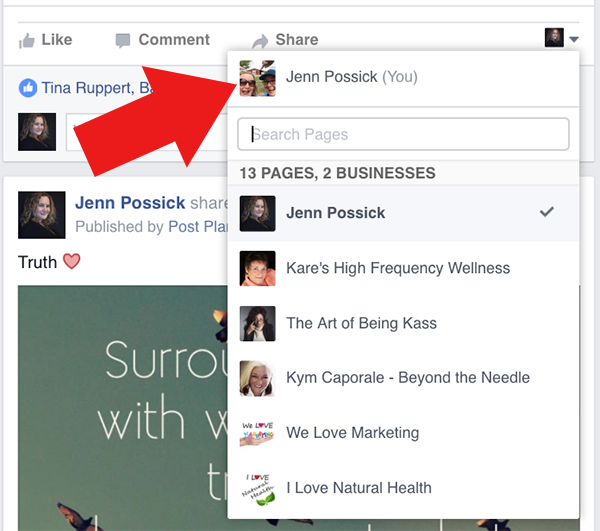 Select the downward arrow next to the icon to switch to interact as your Personal Page. 9. Select ‘Share’ again. 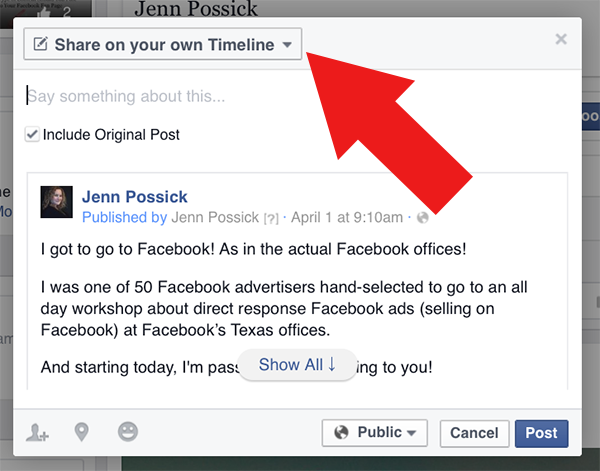 You can choose ‘Share Post Now.’ If you do this, it will share to your Personal Page with no additional text. Personally, I like to include some additional text. 13. 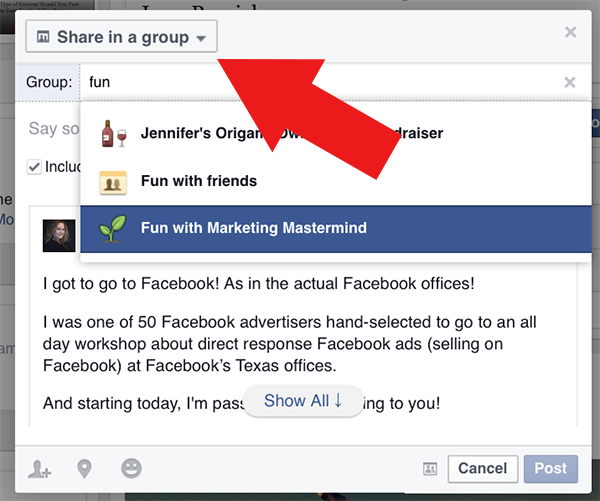 To share in a group, like my Fun with Marketing Mastermind, start typing in the name of the group, then select it once it shows up. 16. And here’s how my post looks on my Personal Page. There you have it. 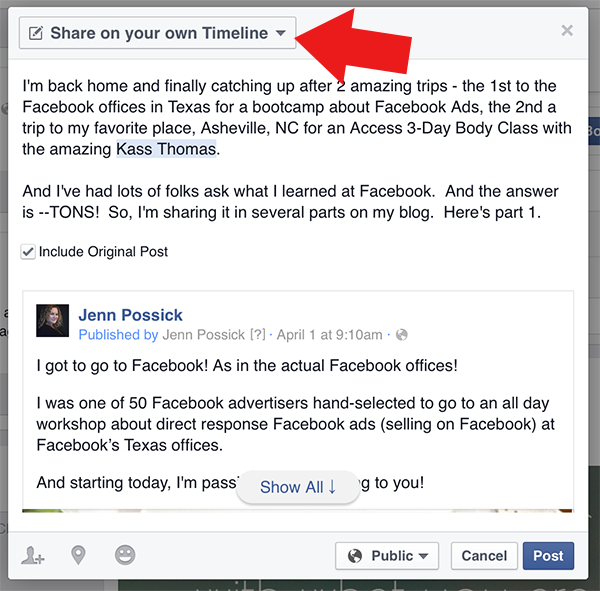 How to share from your Business Page to your Personal Page. Do you use this strategy? Have you noticed a change in your reach? Let me know in the comments below or in my Facebook Group HERE. This only works if you are the original poster. 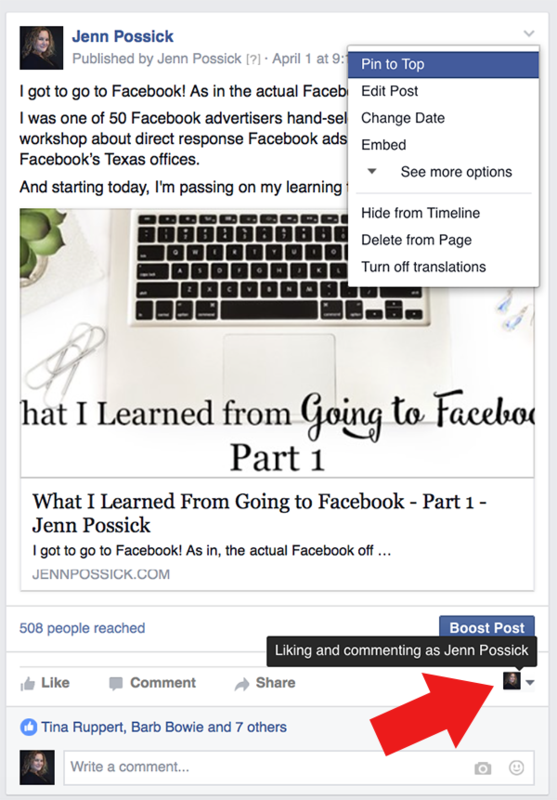 If you are sharing a page from someone else’s page to your business page, and make your comments, it’s there in your business page’s post. 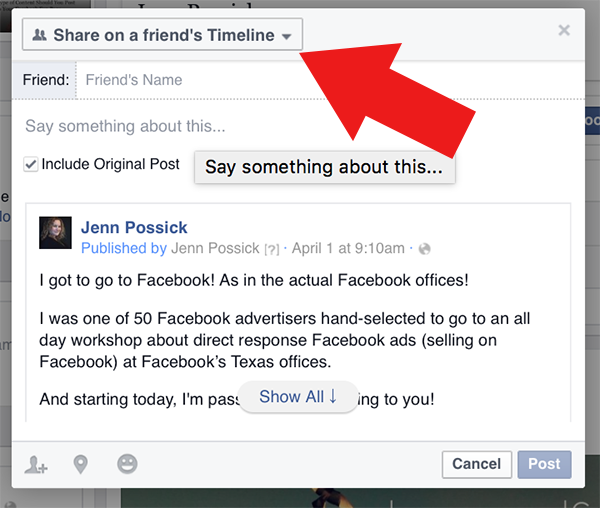 If you want to share *THAT* post (original plus your business page’s comments about it) to your personal timeline, you cannot. This is what I, and loads of others, am trying to do.